While this service may seem like a given when coming to a chiropractic office, it's not uncommon for most people to feel unsure of what standard chiropractic care actually entails. For starters, while many assume that chiropractic is simply about fixing back issues, our true focus on that area of the body results from the fact that the spinal cord is the only pathway connecting the brain to the nerves that snake throughout our systems. When the brain needs to send signals to the organs or limbs, it sends those signals down the spinal cord before eventually branching them towards their intended destination. Therefore, if the spine is out of alignment or there are tissue injuries related to the vertebrae encapsulating the spinal cord, the messages being transmitted from the brain will have a difficult time traveling through the nervous system. 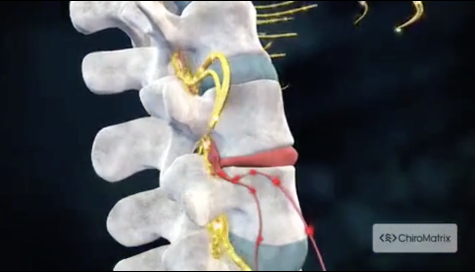 When this happens, other areas of the body fail to function properly, which often leads to further injuries that are the direct result of spinal dysfunction. With this in mind, the most common theraputic tool used in chiropractic is the "spinal manipulation" or, as it is more commonly known, the "adjustment." The purpose of this manipulation is to conserve and restore joint mobility by gently shifting the position of the vertebrae, so that pain and muscle tightness can be alleviated. Once proper functioning is restored and the nerve pathways are re-opened, the body can set to work on naturally healing itself. With this, since standard chiropractic care is the building block upon which all our other services are designed, it is through consistent adjustments that we are able to maintain a nervous system that is capable of fighting injury BEFORE it has a chance to create lasting pain.